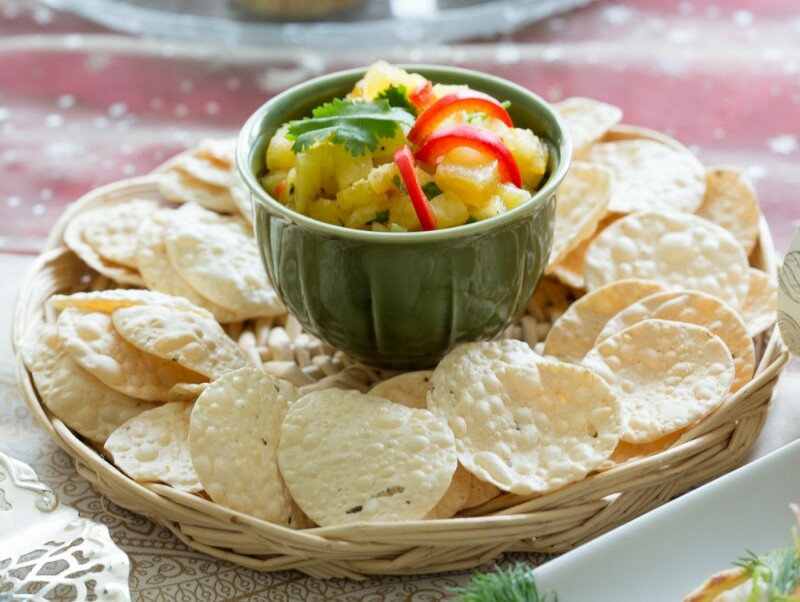 A simple, yet very effective recipe for a zesty pineapple salsa with a real kick. We love this one with crunchy homemade poppadoms, but it also makes a great side for mexican dishes or as an alternative to mango chutney with curries. Using the spice drops for the addition of pepper and ginger makes for less waste and messing about and more flavour! In a small glass bowl combine all ingredients and mix well. Refrigerate and serve as an accompaniment with Poppadums.